E-commerce giant Amazon.com has announced a team up with Warner Bros. to create Amazon Studios, which uses primarily user-generated content. 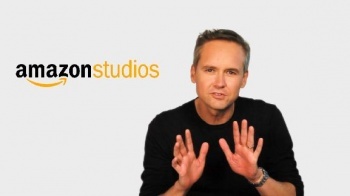 Amazon.com has launched Amazon Studios, the company's own movie studio, which will attempt to crowd-source the business of making movies. It will take scripts and movies submitted by users, and every month will award $20,000 to the best scripts 2 and $100,000 to the best movies. Once a movie or script has been submitted, it is made available for editing and feedback from the community at large. At the end of the year, the two winners (a script and a movie) will be announced, and awarded up to 1 million dollars. Should Amazon decide that a script or movie is worthy of the silver screen, Warner Bros. will exercise the rights granted to it by its first look deal with Amazon, and decide if it wants to produce it. If not, Amazon is free to shop the idea around. If a feature film is released, the creator of the original will be paid $200,000, even more if it grosses over 60 million dollars. Jack Epps Jr., the writer of Top Gun, writing chair of the USC School of Cinematic Arts, and one of the members of the panel who will decided if a script is commercially viable, said that, "Amazon Studios is a great idea. Getting feedback is essential for creative artists to improve their work. By letting anyone submit a movie or screenplay to be considered for a major motion picture, Amazon Studios is really opening the doors to Hollywood."